This dish is really simple to microwave from the best of ingredients. 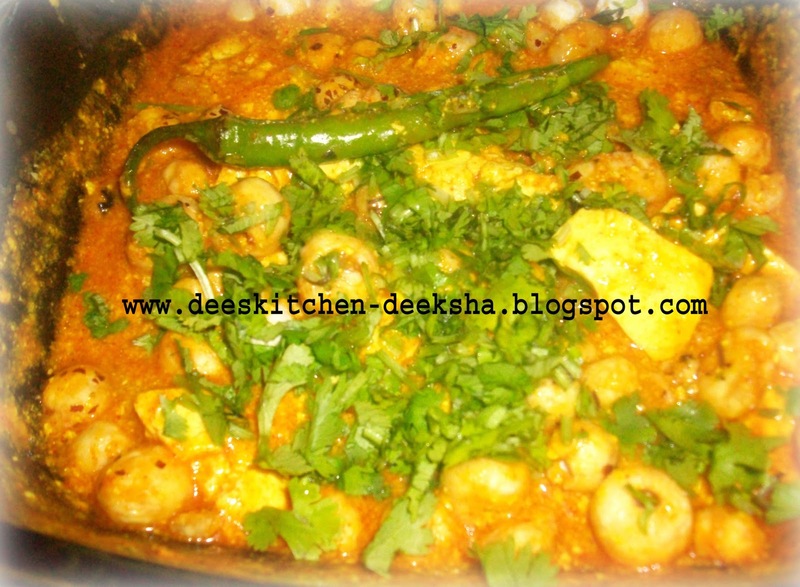 Really simple and very tasty...................!!!!!! 1. 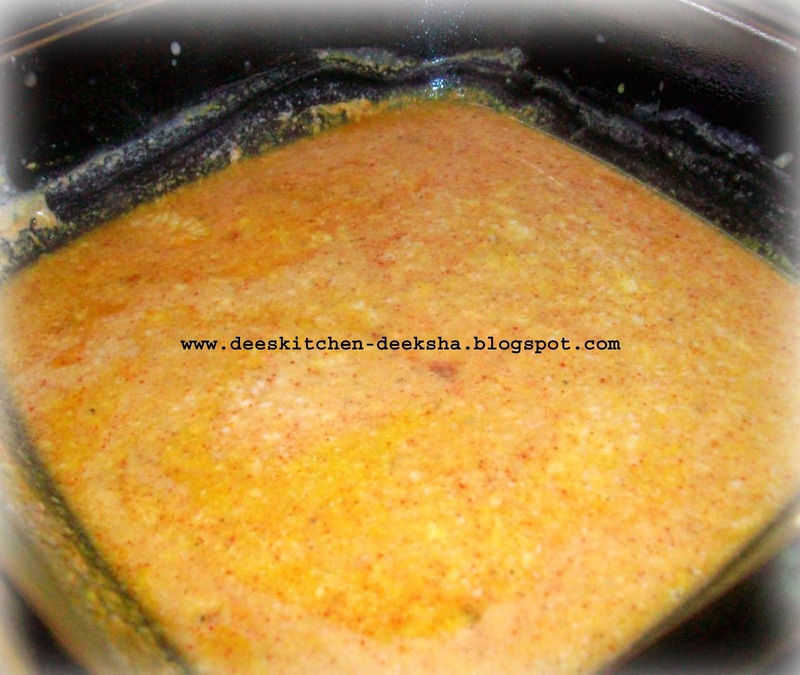 In a microwave safe bowl, add ghee and mix makhanas. Microwave it for 2 min. (at 100 power) and set aside. 2. 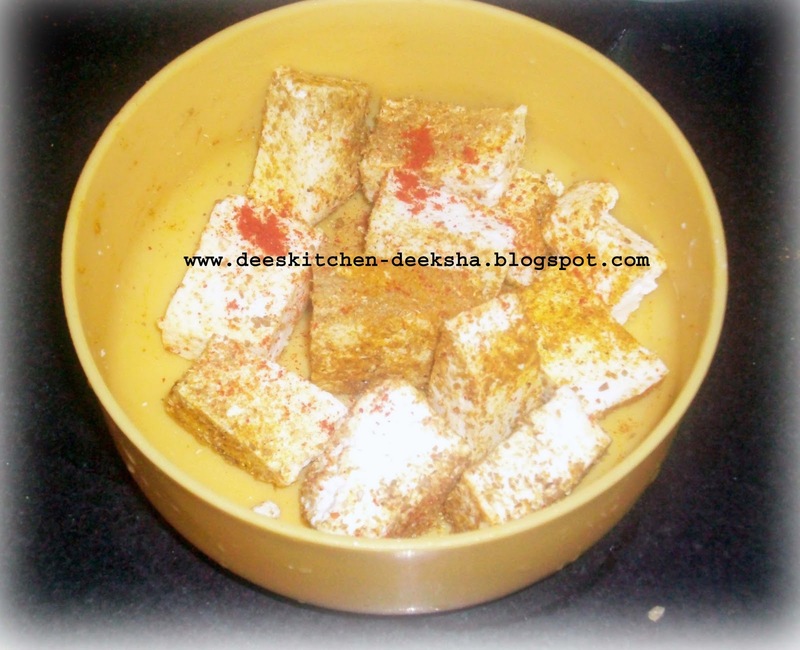 Take a fresh microwave safe bowl, add curd, milk, cornflour, 1/4 tsp turmeric powder, garam masala, 1/4 tsp red chilli powder and mix well. Now cook this for 1 min. Your gravy is ready. 3. 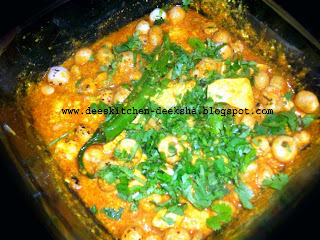 Now, in a fresh microwave bowl, add paneer pieces and all the dry masalas and let it cook for 1 min. 4. Add tomato puree, green chillies, coriander leaves and gravy to the paneer. Cook this for 2 min..
5. 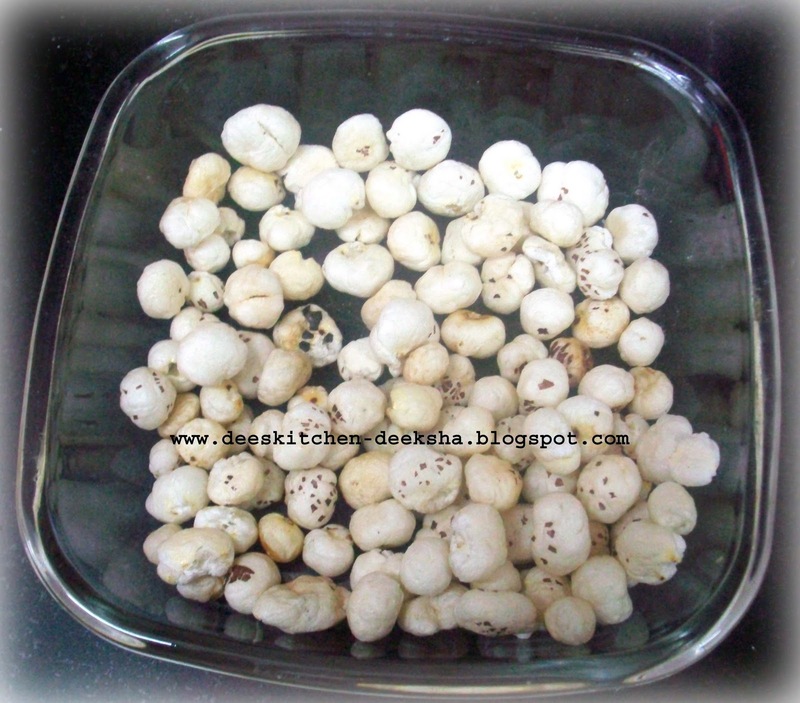 Add the roasted makhanas, mix well and microwave on high power for 1 min..
7. 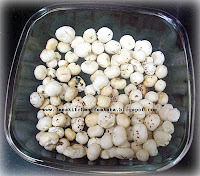 Serve hot with poori or parantha. Such a delicious looking recipe, made so easily. Great job. 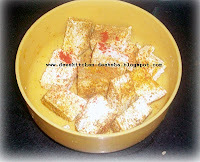 Wow..good one..looks so rich n creamy! That looks very inviting..thanks for the lovely entry! Healthy and fabulous curry, yumm! 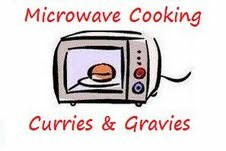 Rich gravy :) I am goign to try the microwave route next time i make this!